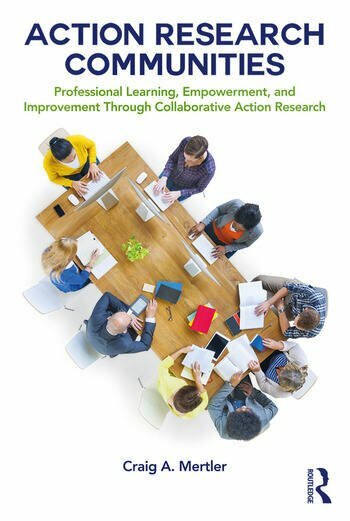 Action Research Communities presents a new perspective on two current and proven educational practices: classroom-/school-based action research and professional learning communities. Implementation of one or the other of these practices often results in a variety of possible benefits for the teaching–learning process, for student achievement, and for overall school improvement. While these might seem to be separate, isolated practices, the author has taken the beneficial aspects of each practice and merged them into a cohesive and potentially powerful concept, coined "action research communities." •true empowerment that comes with this form of collaborative, inquiry-based, and reflective practice. Practical guidance for the development and implementation of ARCs is also provided, by focusing on ways in which professional educators (teachers, administrators, support staff, etc.) can implement, sustain, and extend the impact of their respective action research communities. Specific roles for district administrators, building administrators, and teachers are presented and discussed in depth, as are ways that ARCs can be used both to deepen professional learning for educators and to improve student learning. Introduction: Why Merge Action Research and Professional Learning Communities? 1: What is Action Research? What is the Action Research Model for Transformational Innovation? Focus on "Why," Then on "How"
Craig A. Mertler is an Associate Professor and Director of the EdD Program in Leadership & Innovation at Arizona State University. He has been an educator for 32 years, 22 of those in higher education, and 6 as an administrator. He is the author of 22 books, 8 invited book chapters, and 20 refereed journal articles.